Starchy Grant’s introduction to running is pretty funny and has some obscure parallels to the Barkley Marathons. You’ll have to hear how he figured out he was a good runner, and what inspired him to keep going to the hell no end of the running spectrum. In this episode, Starchy recounts his time at Barkley this past weekend, the auspicious record he helped set, and what’ll he do differently if he’s entered in the race again. Was the hoopla what he expected? How was it grabbing the first book? And he got lost for how many hours??? Starchy, Kimberly, and Brad after record breaking loop. Pic from Barkley twitter feed. I ask him details about the race–gear, terrain, maps–and get a pretty good feeling of what it’s really like out there, but steer shy of asking too much. This is Barkley, after all. Starchy finishing Western States Endurance Run. pic by Allen Lucas. Lake Tahoe. I’ll be the finish line announcer and hope to see you there! Follow Starchy Grant on twitter here. Pretty funny tweets from a tech privacy perspective. 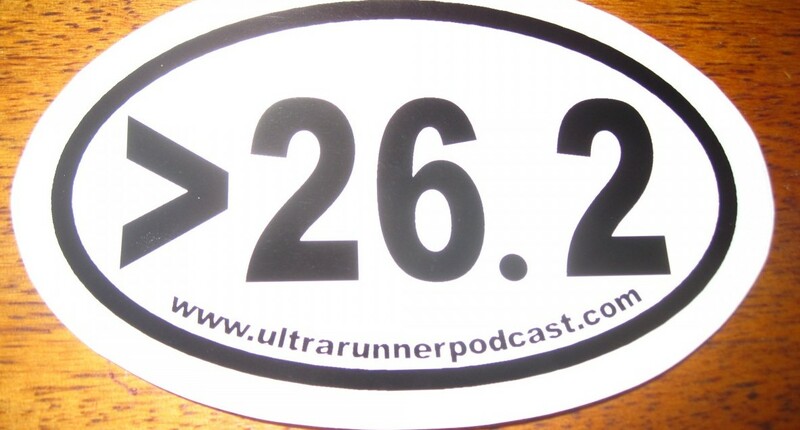 Here’s our interview with Bev and Alan Abbs from the 2012 Barkley. Here’s our chat with Barkley finisher Nickademus Hollon, and here’s our old, old talk with Laz. Outro music: An Ocean In Between the Waves by The War on Drugs. 8 Responses to "Starchy Grant Interview"
Thanks for getting Starchy to sit down for the time it took to record this – I can’t wait to listen to it. Love the story. I had the pleasure of being lost in the woods with Starchy at Euchre Bar. He is one of my favorite runners and, in fact, one of my favorite people. Thanks for sharing your adventure Starchy. Wow, thanks Kirk. That first run at Euchre Bar might be just as memorable as Barkley. I was following Barkley on Twitter, as interested in the fate of the lost “Three Amigos” as I was with what was going on up front with Jared and Gary. Had no idea until this podcast that Starchy, a guy I’ve shared a few miles with at races here in the Bay Area, was one of them! Cool to hear the story. My favorite pink hair guy, ceases to amaze! Great read. Mad respect for you. May the adventures never stop! See you on another dirt path adventure soon!